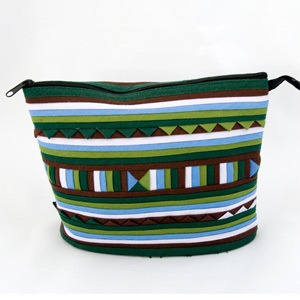 A lovely cosmetic handbag handmade by the Lisu people. The exterior features multicolored appliquéd stripes. 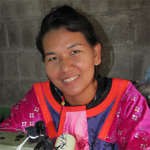 Artisan Issaraporn Saeyang lines the interior with polyester and closes the bag with a zipper. 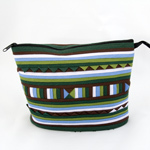 This handmade item may vary slightly in colors, motifs, weight and size. Color discrepancies may occur between this item and your computer screen.